Hey Guys! You've landed on Indianapolis USA Did you know the factory ships out free all over America twice everyday. 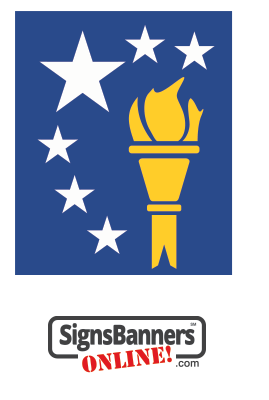 See USA Home Page here. 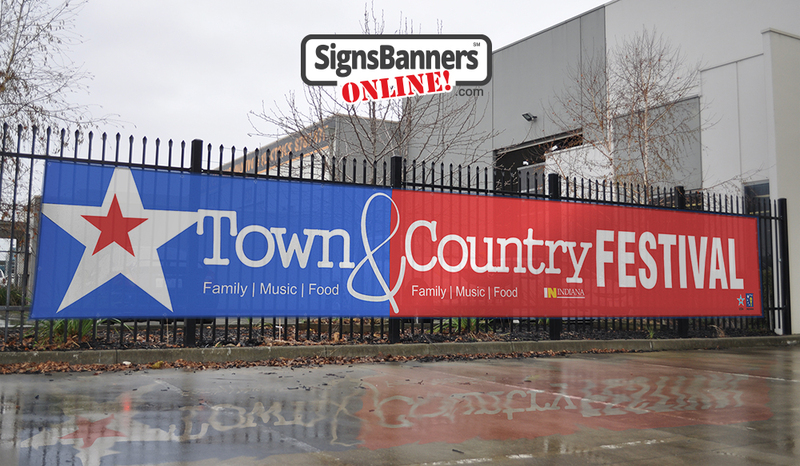 Promoting local business and festivals from South Bend to Fort Wayne, Indianapolis to northern Indiana. 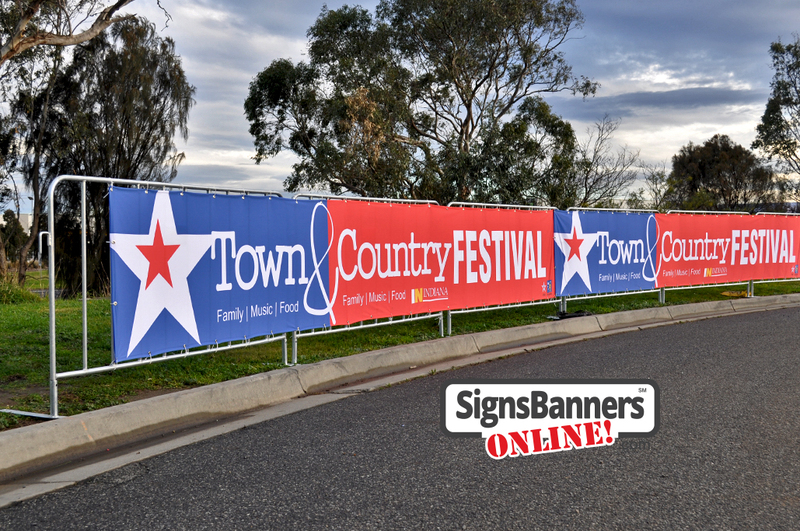 Many festival and county fair organizers use this website for purchasing custom creative size and custom roll length banners and signs. You can use it too. 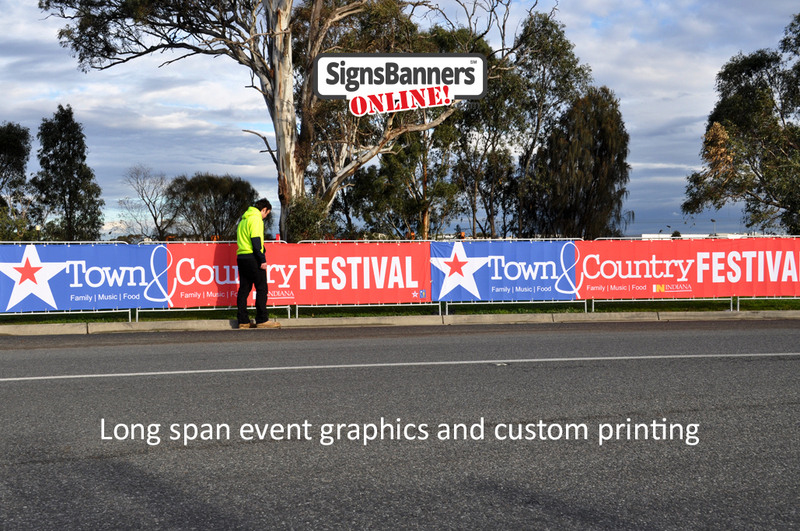 Polyester custom flexible signage made to fit. Low costs. Ideal for State Fair and Community Functions. 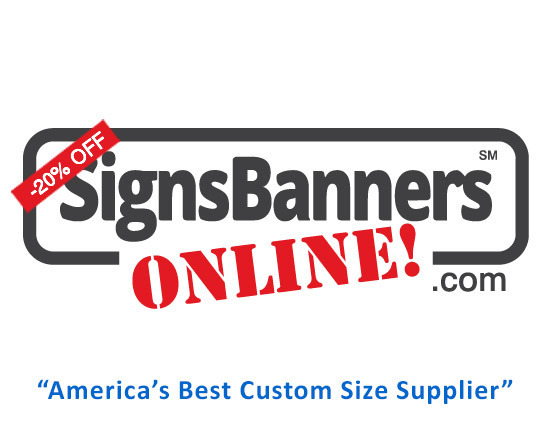 Discounts for large size and print per ft ratios. Lightweight super strong material with best ink set quality. 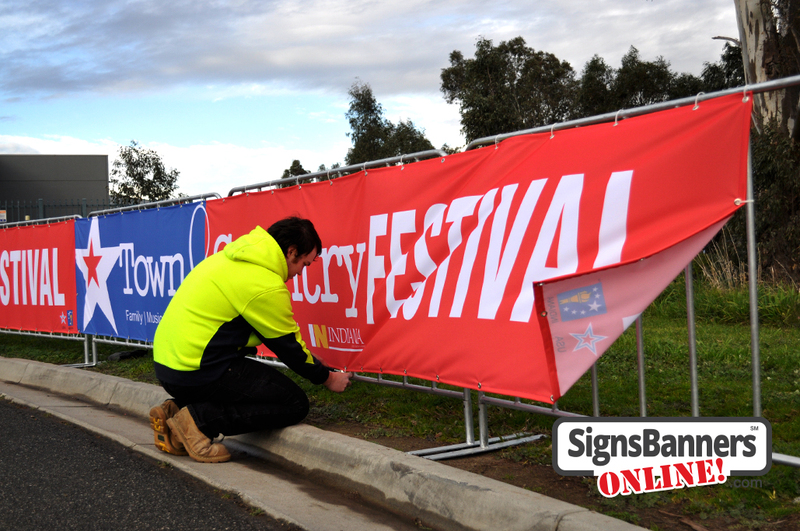 Preparing for event attendees and crowds barrier advertising using quick zip ties and fence barrier banner printed custom signs is the best method for management and festival organizers. 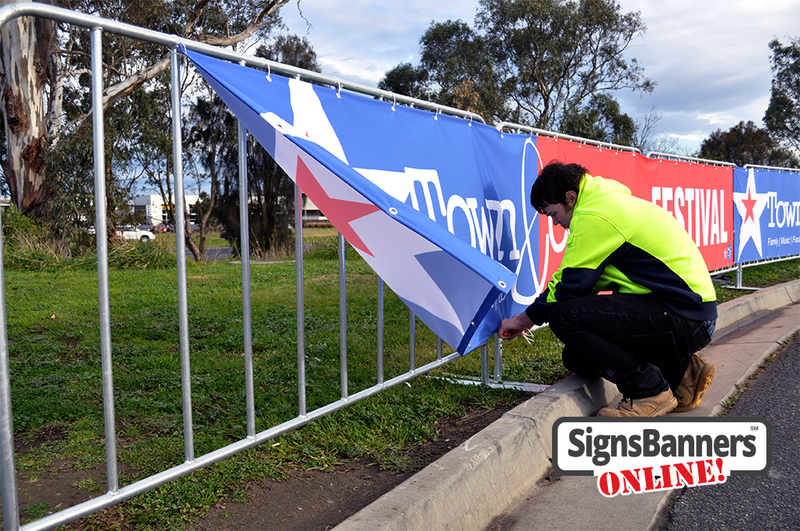 Attaching lots of banner signs to the fences with zip ties. 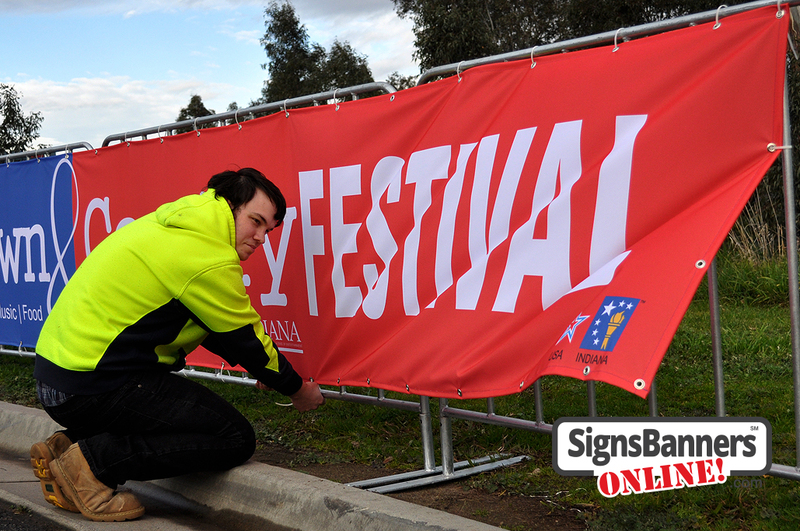 Shows the best technique for mounting banner signs onto barricade style fences as used at events and festivals. Trimming the end sections for better public safety. Also, the banners are best tied in this manner. 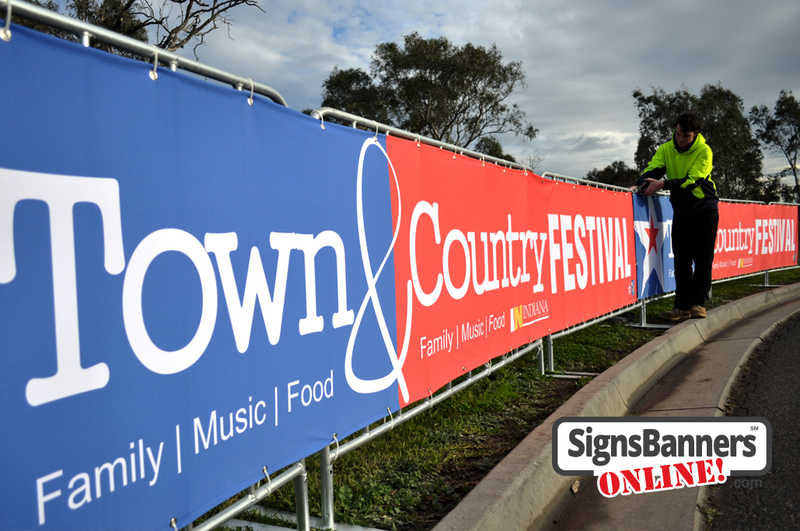 Upright portable crowd barricade systems with advertising signage banners fitted for event displays at the Town and Country Festival. 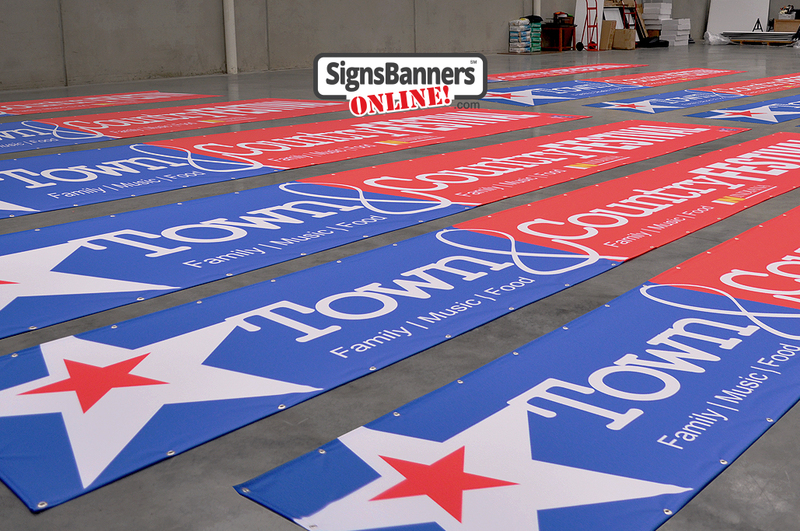 Banners and flags laid out on the packing floor ready to ship out to festival management company. 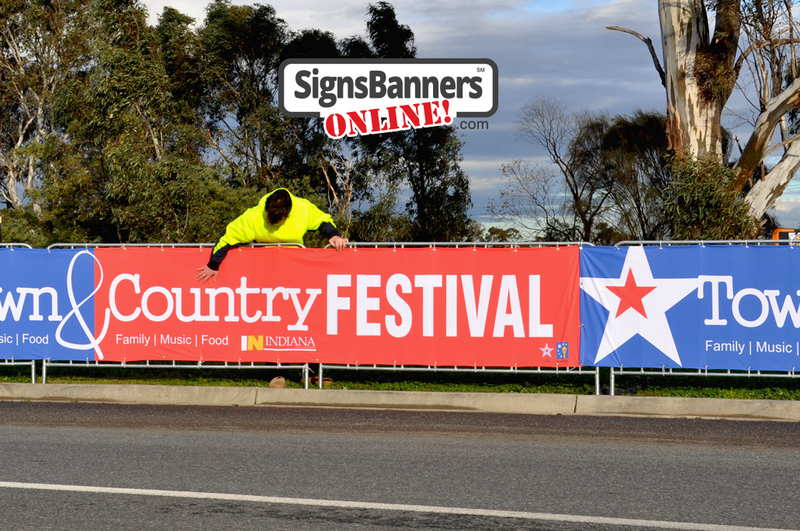 Indiana festival management use portable display systems such as these public crowd banner barriers for promoting both the upcoming event in Indiana and promoting the major sponsors to attendees.